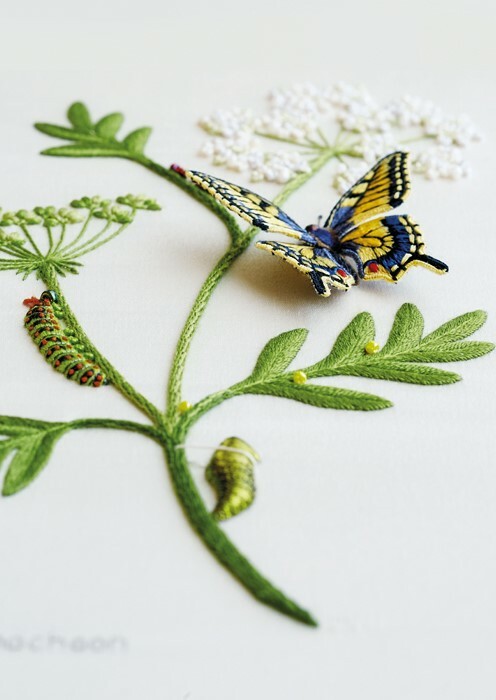 Beautiful stumpwork study depicting the fascinating life cycle of a butterfly. 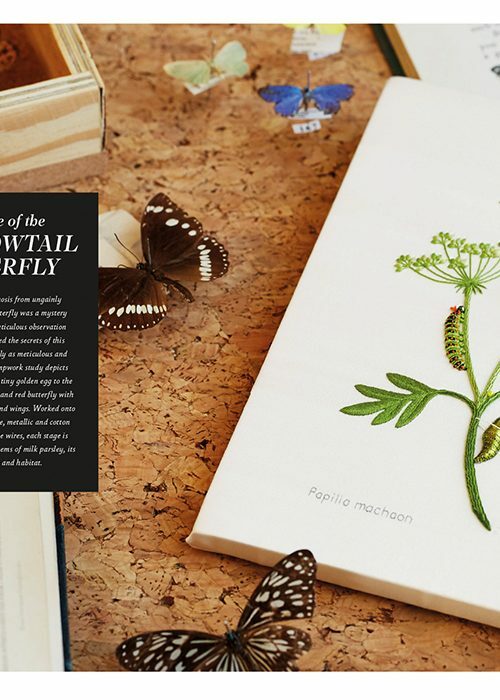 This beautiful stumpwork study depicts the complete life cycle from tiny golden egg to the splendid yellow, black, blue and red butterfly with its distinctive swallowtail hind wings. 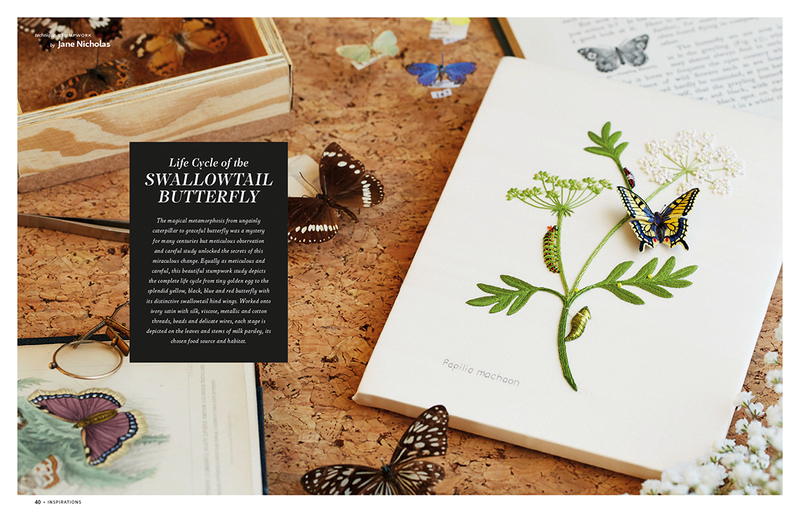 Worked onto ivory satin with silk, viscose, metallic and cotton threads, beads and delicate wires, each stage is depicted on the leaves and stems of milk parsley, its chosen food source and habitat.